Francisco Kjolseth | The Salt Lake Tribune Salt Lake Tribune editor Terry Orme. Lennie Mahler | The Salt Lake Tribune The Salt Lake Tribune will roll out a new membership program on Monday, July 20, 2015. 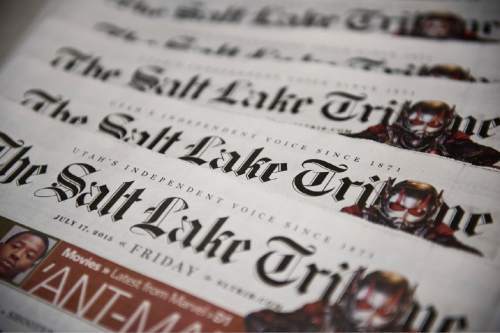 Lennie Mahler | The Salt Lake Tribune The Salt Lake Tribune will roll out a new membership program on Monday, July 20, 2015. 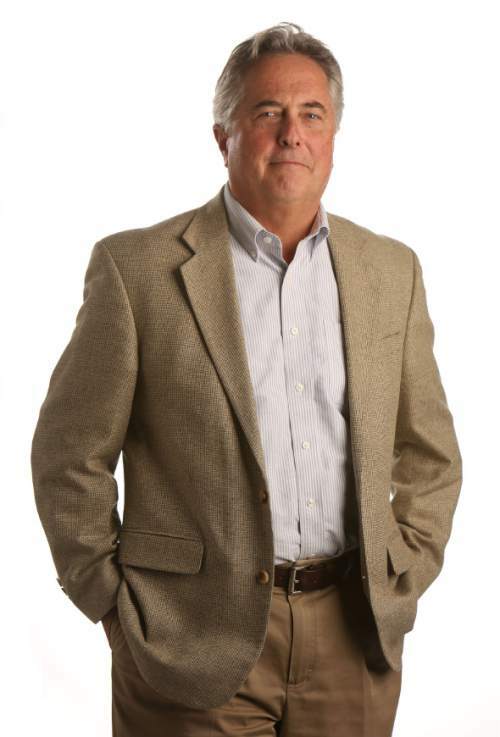 Lennie Mahler | The Salt Lake Tribune The Salt Lake Tribune will roll out a new membership program on Monday, July 20, 2015. On Monday, we launch our sltrib.com membership program. Frequent visitors to The Salt Lake Tribune&apos;s website will be asked to join. For a $9.99 per month premium membership, visitors will receive access to an advertising-free sltrib.com and priority invites to a series of monthly events we are planning. For $4.99 a month, sustaining members will get early invites and priority admission to our events. It&apos;s all voluntary. If this does not interest you, click "no thanks" on the pop-up window and keep on reading. We hope you will consider it. The idea here is to create another revenue stream from our online edition, and, with the events, engage our audience in more personal, face-to-face venues, like we did Thursday night with our Salt Lake City mayoral debate. In August, we will present an evening with longtime news columnist Paul Rolly, our legendary reporter and raconteur who can tell more than a few stories about Utah&apos;s movers and shakers. In September, our sports columnists and beat reporters will preview the fortunes of the Utes, Cougars and Aggies in an evening of college football predictions. Like I said a couple of weeks ago, this is in response to a question I&apos;m frequently asked: Why do you give your content away for free online? Well, to those of you who have asked, here&apos;s your chance to support Tribune journalism. Q • Where does my membership money go? How is it used? 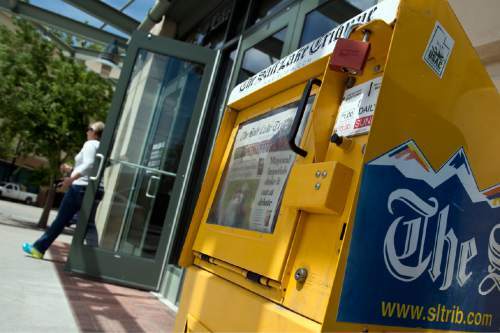 A • The money raised through sltrib.com memberships is added to The Tribune budget, the funds we use to pay our staff and to cover the expenses of a newsroom that operates 365 days a year. Q • By offering an ad-free website, aren&apos;t you cutting the money The Tribune earns by selling advertising? A • We anticipate that a small percentage of our online readers will become members, and that the effect on advertising will be minimal. However, even a small percentage of readers signing up will have a significant impact on our newsroom budget. Q • What about print readers, those who already pay for a subscription to The Tribune? Do they get access, without paying for a membership, to the ad-free sltrib.com? That&apos;s what papers like The New York Times do. A • Unlike those other papers that require payment to read online, we still offer every reader a free website with the latest news. But only premium members to sltrib.com will have access to the website without commercial interruption. Our print readers, however, will be included in the events we are planning and will be invited to participate through newspaper notices. Q • How is this different from subscribing to The Tribune&apos;s e-Edition? A • The e-Edition is an exact digital replica of the printed Tribune. You actually "turn" the pages like you do the newspaper, and when you click on a story, it opens in a separate window to make it more readable. The e-Edition is a product offered by the Utah Media Group, the company that prints and distributes The Tribune. If you are interested in an e-Edition subscription, go to sltrib.com and click on "Subscribe" in the navigation bar at the top of our home page. 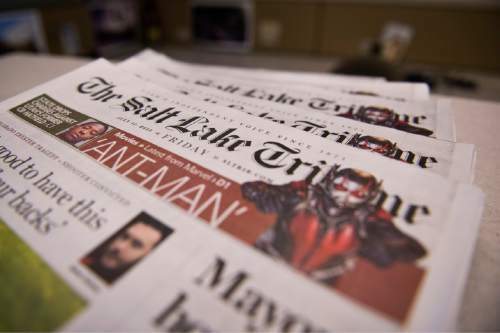 Q • Will there be an ad-free sltrib.com for your iPhone, iPad and Android apps? A • No. However, we have greatly improved the viewing experience of reading sltrib.com on mobile devices using your device&apos;s Internet browser. Our new site employs "responsive design," which makes the browser window conform to and fit the size of every screen. So viewing the ad-free sltrib.com on your mobile device is an attractive option. Q • If I sign up on one device, will I get the ad-free site on my other devices? Thank you for considering becoming a member of sltrib.com. Terry Orme is The Tribune&apos;s editor and publisher. Email him at orme@sltrib.com.